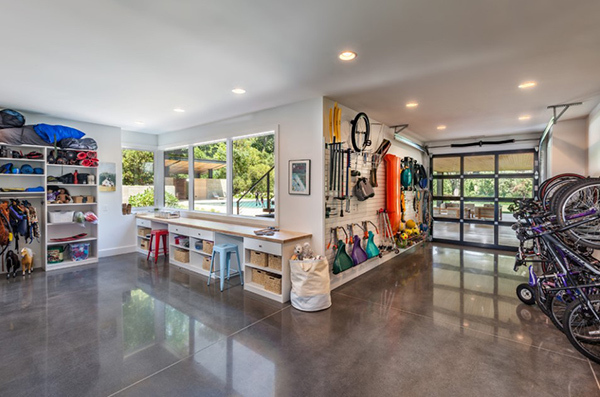 Whether your garage is just a normal built-in garage or one of those steel buildings at the bottom of your driveway, it’s nice to keep it clean and tidy because you never know when you’ll need to take tools or other items out of it. A lot of homeowners don’t use the garage for their vehicles; they just use it as a dumping ground for unused items and tools. Your garage doesn’t have to be a dumping ground as it can be another place for you to enjoy instead. If you’re looking for ways to keep your garage clean and tidy, have a look at some of the information below that will help you in the process. If you want to keep your garage clean it’s important you have a space for everything, and being able to create a space for everything will require you to take everything out to sort out completely. 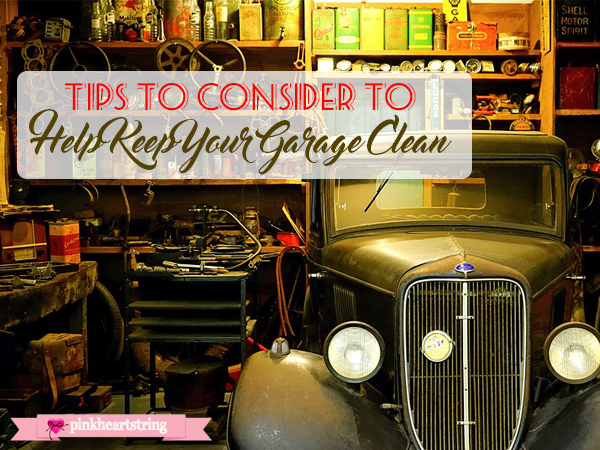 Start by taking every single item out of your garage and then consider how best to organize everything. Once your garage is empty, give it a spring clean to remove dust and cobwebs and then consider doing the same to every item you’re going to store in there again. If you’ve got a broken lawnmower sitting right next to your working new one in your garage, there’s no reason why you shouldn’t chuck the broken one out or at least get it repaired so you can sell it. The garage doesn’t need to have rubbish stacked in it or items you don’t use anymore so give it a good clear out and you’ll find you have much more space to work with when it comes to finding a place for everything. 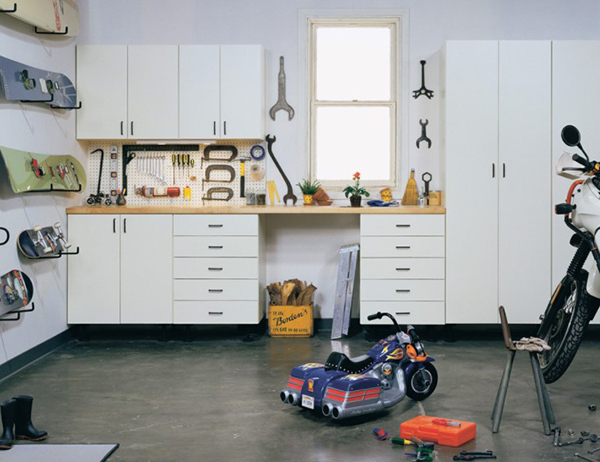 Home-made cabinets are a fantastic way to keep your garage in tip-top shape. Cabinets provide room for your tools and other products such as used paint cans and car care products. Building shelves is always a terrific way to take advantage of the higher space and there’s no reason why shouldn’t bang nails into the wall so you can hang hand tools such as hammers and handsaws for you to be able to easily access when you need them. A lot of homeowners turn their noses up at the idea of painting their garage floors, but you’ll find it’s an effective way to keep the floor spick and span. The process of painting your garage floor is very easy and even though many homeowners feel it is an expensive project, it’s actually affordable and will cost you around $30-$50 to complete the project. If you organize your garage in such a way so you can take advantage of all the space on offer, you’ll find keeping your garage clean is very easy and you’ll only have to go out there once every few weeks to give your newly painted floor a sweep.